Held in Cordova, Alaska, the Copper River Delta Shorebirds Festival is a bird watchers dream come true. Hundreds of thousands birds migrate to the delta for your sighting pleasure. Held every May, the Copper River Delta Shorebirds Festival is the place to be if you want to view shorebirds. Literally millions of birds migrate to the delta on the way to breeding grounds throughout the Arctic. The little town of Cordova knows a good thing when it sees it. The Copper River Delta is essentially a refueling spot for the migrating birds. As you probably know, migrating birds will haul tail when the migration urge overcomes them. Many of these birds will fly for days on end until they must have food. In the grand plan, Mother Nature has arranged for the river delta to be the fast food stop for these birds. and eat. It is the rare opportunity where you get to see so many birds grounded for such a long period of time. Put another way, it is a deluxe bird watching opportunity. So, what can you expect to see on the delta? With so many birds, Im not going to go into specifics other than to say you can see a wide variety of Loons, Grebes, Herons, Swallows, Yellowlegs, Tattlers, Sandpipers, Swans, Chickadees, Wrens, Ducks, Thrushes, Magpies, Warblers, Alcids, Finches, Jaegers and Turns to mention only a few. Put another way, you wont run out of things to see. Getting to Cordova isnt the easiest of things to do. Youll have to fly in from Anchorage, Juneau or Seattle. Alternatively, you can hop on one of the Alaskan ferries, but need to look into the specific mechanics involved. 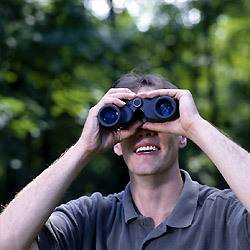 It is the rare day indeed when a birder can view millions of birds in their natural habitat. The Copper River Delta Shorebirds Festival offers you that day every year. Rick Chapo is with http://www.nomadjournals.com/bird_watchers.cfm - makers of writing journals. Bird watching journals are great bird watching gifts for bird watching tours and vacations. Visit http://www.nomadjournaltrips.com for more bird watching articles.